This collection of clips provides an overview of Scotland, a celebration of Scotland and the movement of its people. The movement of Scots features in the Standard Grade History course and the Immigrants and Exiles course for Intermediate History. The study of Scots abroad will feature in the new Higher due to commence August 2010. St. Kilda – an island of small population (under 200) where the people lived off the land. After years of an increasing dependency of supplies and tourism from the mainland, the island economy began to break down. Food shortages, influenza and the emigration of young St. Kildans to Australia led to the disintegration of island life. In 1930, the remaining 36 islanders requested evacuation to the mainland. 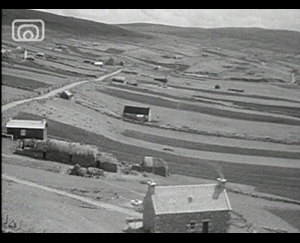 The 1938 documentary Face of Scotland is a celebration of Scotland and looks at what and who Scotland is and the things that have shaped Scotland’s past. Question to consider for classroom discussion/individual work: How does this film make you feel about Scotland’s past? What kind of mood does the narrator create? How do you feel about being Scottish? To what extent is this clip a useful source as a summary for Scotland’s past? In what ways can the clip be considered biased? What kind of message is it trying to give about Scotland? Why do you think this film was produced? A History of Scotland (Junior School) Objectives: Pupils will learn a brief history of Scotland and the names of some of the people who helped shape Scotland from the clip. Activities: Create a timeline including the dates for Hadrian’s Wall, Castles, Wallace and Bruce, the lives of Robert Burns, John Knox, Reid, Hume, Dunbar, Scott, Stevenson and Lister, Clydeside, WW1 and Scottish football. As an extension, pupils can add any other Scottish historical events that were omitted from the clip into their timeline. Outcomes: An organisation of Scottish historical events in chronological order. A History of Scotland (Middle/Upper school) Objectives: The presentation of Scottish history represented in moving image text. Activity: Group coop activity – each group is a film crew, with director, narrator, writer etc. and have to produce an ICT based documentary on a particular Scottish historical period/person, as featured in the clip. Pupils can research their own moving image resources, music and narration. Outcomes: An understanding of Scottish history reinforced by a developed understanding of moving image literacy. Celebrating Scots (Junior school) Objectives: An individual or group research project on famous or influential Scots including those mentioned in the clip. Activities: Coop Learning - Each group should pick a famous Scot and produce a report/project/poster/presentation/film on their life and work. Pupils should research their own visuals/pictures/moving images for the presentation. Outcomes: Familiarisation of famous Scots through increased use of various sources. Celebrating Scots (Middle/Upper school) Objectives: An understanding of the role Scots have had in the past and in present day. 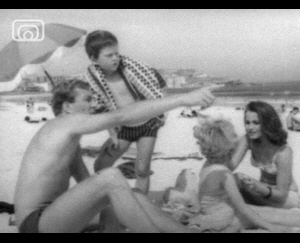 Activities: An analysis of what image this clip presents of famous Scots – how does it portray them? How does it make the audience feel about Scottish people. Compare this to the modern day STV documentary ‘Made in Scotland’ aired July-August 2009. How does this portray Scots? In what ways are the documentaries different in their presentation? Which one is the most powerful and why? Outcomes: An analysis of present and past media and the reliability of evidence. English: Analysis of the works of Scottish poets and writers and their influence. Music and IT: Produce a PowerPoint/film of Scotland’s past and compose/select appropriate music to accompany the images. Modern Studies: The changing face of Scotland’s football – corporate, violent, sectarianism, lack of Scots in Scottish teams. How Scottish football has changed over the years. 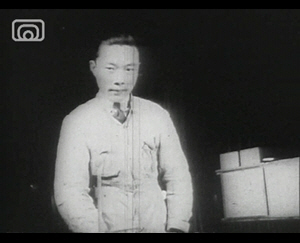 The 1943 Ministry of Supply film Warwork News No. 19, The Other Man's Job is similar to Face of Scotland in the sense that it is a celebration of Scotland. It shows the important contribution a Glasgow locomotive company makes to the ‘second front’ of WW2. Why has this film been produced? What message is the film trying to portray? What does this film show you/tell you about Scottish wartime workers? What does it tell you about Scotland’s industry and its reputation? How would this film make Scots feel? How does it make you feel about Scotland? Scottish wartime industry (Junior/Middle school) Objectives: An understanding of Scotland’s 20th Century industrial strength and its vital role in wartime. Activities: Group exercise – “The Wartime Industry X-Factor” An awards ceremony/competition where each group has to present their Scottish industry as being the most vital to the war effort and the Scottish economy. One group to be the judging panel and 1 pupil as presenter of the show/competition. Groups can include Locomotives, Shipbuilding, Mining, Steelworkers, Munitions Workers, Home Guard. Outcomes: History presented in a modern way. Each group will research the extent of their Scottish industry and its vital role. This will instil a sense of pride in Scotland’s contribution to the war effort at home and patriotism. Scottish Home Front - Present Day (Middle/Upper School History/Modern Studies) Objectives: An analysis of Scotland’s changing attitude to war and the extent to which we are now patriotic. Activities: Compare the portrayal of war in the media of WW2 to present day media. How has war reporting changed? How have attitudes changed? To what extent does our patriotism for the Iraq war differ to that of WW2? How do we support out troops today? Debate/Essay topic: To what extent is Scotland still patriotic? Pupils can carry out a survey asking people how patriotic they feel towards Scotland. Outcomes: Links Scottish past to our present day feelings of Scotland whilst critically examining media presentation of war situations and the message the media portray. Scottish skills (Junior/Middle school) Objectives: An understanding of the extent of Scotland’s place in the industrial world. Activity: Produce a spider diagram of Scottish skilled workers. Outcome: The importance of the Scottish workers and why they would be in demand elsewhere in the world. The clips Face of Scotland and Warwork News No. 19, The Other Man's Job celebrate Scotland’s past and contribution to the war while testing our own present day patriotic feelings. The clips portray a positive image of Scotland and therefore beg the question – Why would anyone want to leave? 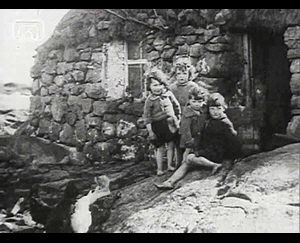 The St. Kilda clips provide a different view of Scottish life and provide some push factors for leaving Scotland. The ship shows a boat being loaded with food for St Kilda. What kind of place to expect St. Kilda to be? Why do you think so many people are on the boat, including women? Why do you think this event was filmed? What is the importance of this event? What does life look like on Lochboisdale? Why do you think people left here for Canada? Activity: Colour St. Kilda, Lochboisdale, Glasgow and Canada on a map. What kind of tone is the filmmaker creating by the use of text? Why does he include a scene from Sauchiehall Street? Why do you think the natives have never seen a camera before? What kind of industries/occupations can you see in the clip? How does this clip make you feel about St. Kilda? What would it be like to live there? Compare the clothes of the visitors to those of the natives. Why was St. Kilda popular with tourists – why would tourists want to go there? St. Kilda’s Industries – Junior School Objectives: To understand how the people lived off the land. Activity: Investigate the different ways people could live off the land – milking, bird catching, and textiles. What was it like to do these occupations? What did each worker have to rely on? Draw the workers and write a description of their job beside them. Which worker would you like to be and why? Outcomes: An understanding of how difficult and hard life was on St. Kilda. Art - The fashion of St. Kilda compared to the fashion on the mainland worn by the visitors. Design a new St. Kilda outfit that was more modern with the times and would suit the environment of the island. Why does the camera focus on the view of St. Kilda from sea for so long (17 seconds)? What kind of impression of St. Kilda does this give the audience? Why do you think the boat is not bigger? What do you think it would have been like to grow up in St. Kilda? What do the children there do? What do the natives carry around under their arms? Why put the sheep on the boats? The natives are timid of the camera – how do you think they will cope on the mainland with more new technology? How do you think the natives feel about evacuating the island? How does this film make you feel about St. Kilda and its heritage? What does this film tell you about the economy of St. Kilda? What do you think about the tradition of the lover’s stone? In what ways did St. Kilda start to modernise? Why did the natives eventually leave the island? 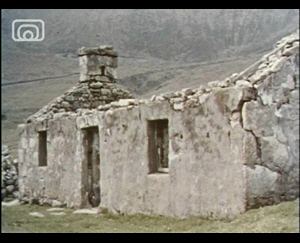 Using all the St. Kilda clips (St. Kilda – Britain’s Loneliest Isle – clips 1,2 and 3; Evacuation of St. Kilda – clips 1, 2 and 3; and St. Kilda, the Lonely Islands) create your own documentary of St. Kilda and the evacuation. 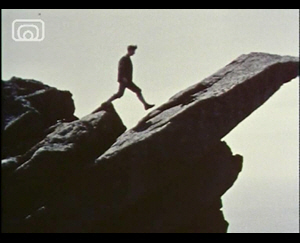 The film can include narrative, text and music. Create a poster/spider diagram of all the push reasons why the St. Kildans left. Extended writing – write a letter, diary entry explaining your thoughts and feelings as an emigrating St. Kildan, include where you are going. Is this clip a documentary or a piece of propaganda? Why does the narrator mention the aboriginals in Australia? Map out the popular destinations Scots settled in the world and Scottish place names, e.g. St. Kilda, Australia, New Caledonia, Nova Scotia etc. Emigration Project – Past and Present An investigation of places that were popular for Scots to emigrate in the 20th century compared to the present day. Have the numbers increased/decreased, where are the popular destinations now? Pick a country you would like to emigrate to. Why? How different is this country to Scotland, environment, size, culture etc? Are there any restrictions on who can emigrate there? What push reasons are there today for leaving Scotland? What pull reasons are attracting others to Scotland? Present you findings to the class. 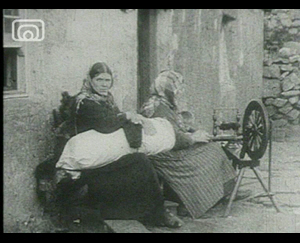 Compare this clip to modern day TV programmes on emigration e.g. STV Home or Away. Extended writing tasks – letter to those left behind describing the journey and your new home. Earlier pupils looked at how patriotic Scotland is today. Compare this to the patriotism of Scots abroad e.g. Scotland week in New York. Do the New Yorkers celebrate Scottishness more than we do? Art – design a new tartan. This lesson guide was developed by teacher Pamela Collins.